As a former member of Passion Pit, Ayad Al-Adhamy is no stranger to pop hooks, even if they usually came via electronic indie-rock. With his new band Team Spirit, Al-Adhamy is proving adept at taking those cues and transferring them to his band’s power-pop/punk rock hybrid. The A.V. Club is premiering the video for “Surrender,” an endlessly catchy track from Team Spirit’s upcoming album Killing Time. 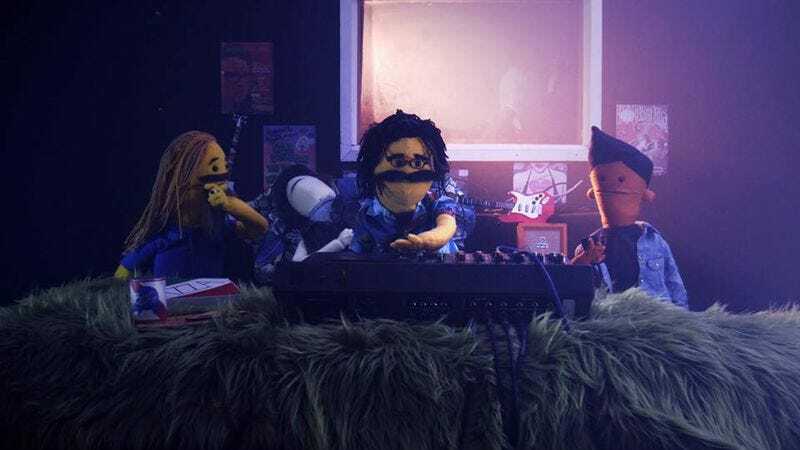 The video sees Al-Adhamy and co. rendered as puppet versions of themselves as they go in search of the band’s big break. The devil appears to make Team Spirit an offer, fulfilling the rock ‘n’ roll legend in the pursuit superstardom. Killing Time will be released on September 30, but the video for “Surrender” can be found below in all its demented glory.